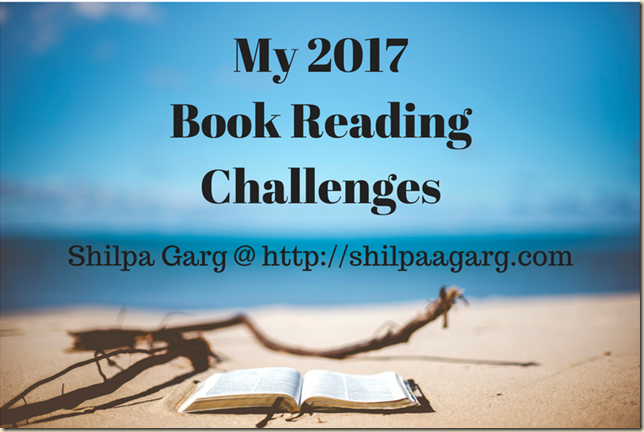 Taking Stock of My 2017 Book Reading Challenges - A Rose Is A Rose Is A Rose! It’s that time of the year when we all sit back and assess and reflect on our goals, achievements and struggles of the year that has gone by. And we also dream and plan for the year ahead. 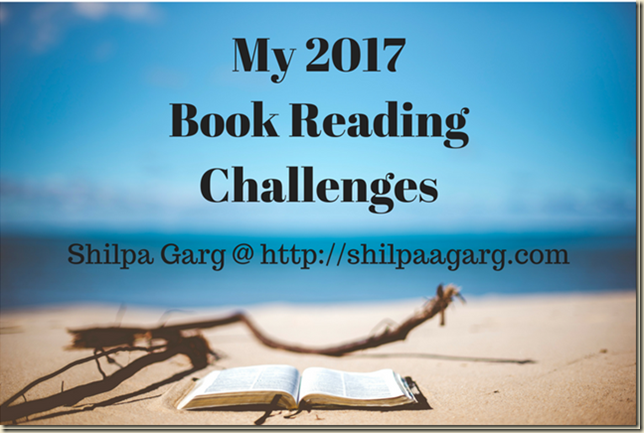 And it’s the perfect time to take stock of my 2017 Book Reading Challenges. I had taken some ambitious reading goals at the beginning of 2017. Let’s check out how I fared with them. 2. HT Brunch Book Challenge : Goal was to read 36 books by 31st December, 2017. I posted 49 books for this challenge. 3. 2017 Pop Sugar Reading Challenge : Ah! This was my favorite challenge. Thanks to this, I read such diverse books and authors. And the best part was hunting for the books for the prompts and looking at my excel sheet every now and then for review. 4. The 2017 Audiobook Challenge : I had plans to be a Weekend Warrior ie listen to 5-10 audio books, but I ended up being a Newbie. I listened to just one audio book. 5. Banned/Challenged Books Reading Challenge 2017 . For this challenge, I read Carrie by Stephen King and The Diary of a Young Girl by Anne Frank. Both these books were banned in schools in the US. 6. 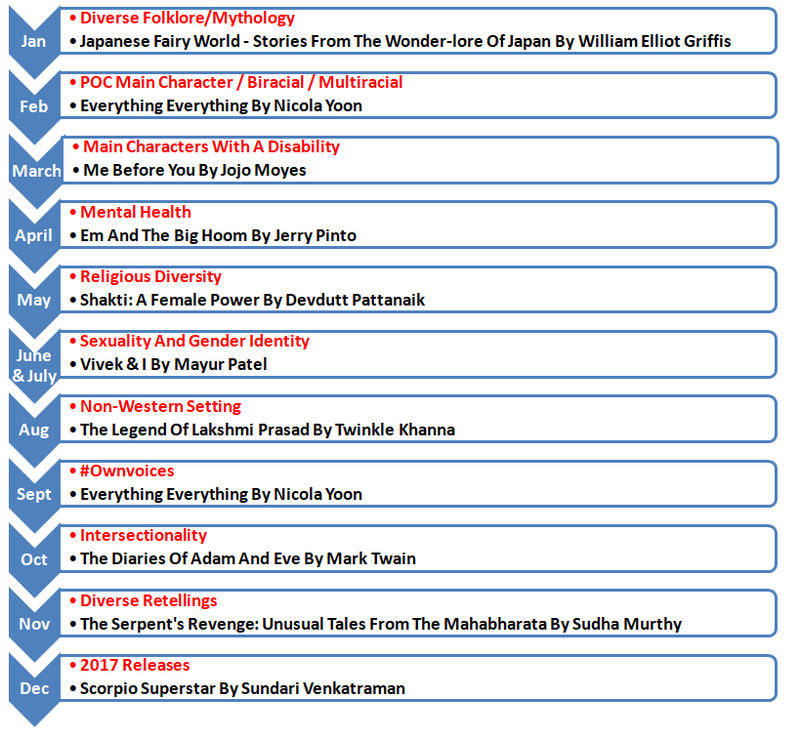 2017 Diverse Reading Challenge : There were prompts for the various months and I aced this challenge truly. 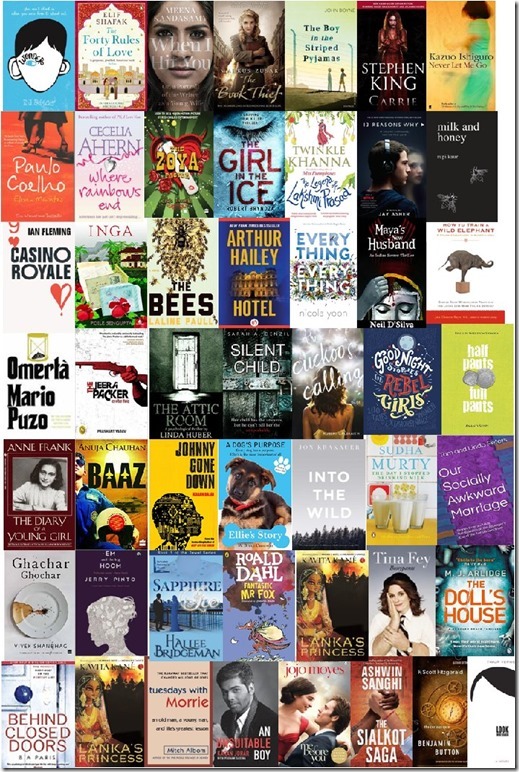 6. eBooks Reading Challenge 2017 : Of the 125 books that I had read in 2017, only 2 were paperbacks and I was an audio book. So, I aced the last level, ‘Empty the Cloud’ of this challenge. This clearly shows that I am a total Kindle convert now. 7. Humor Reading Challenge 2017 : This is my favorite genre. I wanted to read more than 15 books for this challenge, but I ended up reading 11 only so I completed the Comedy Writer Level of this challenge. 9. 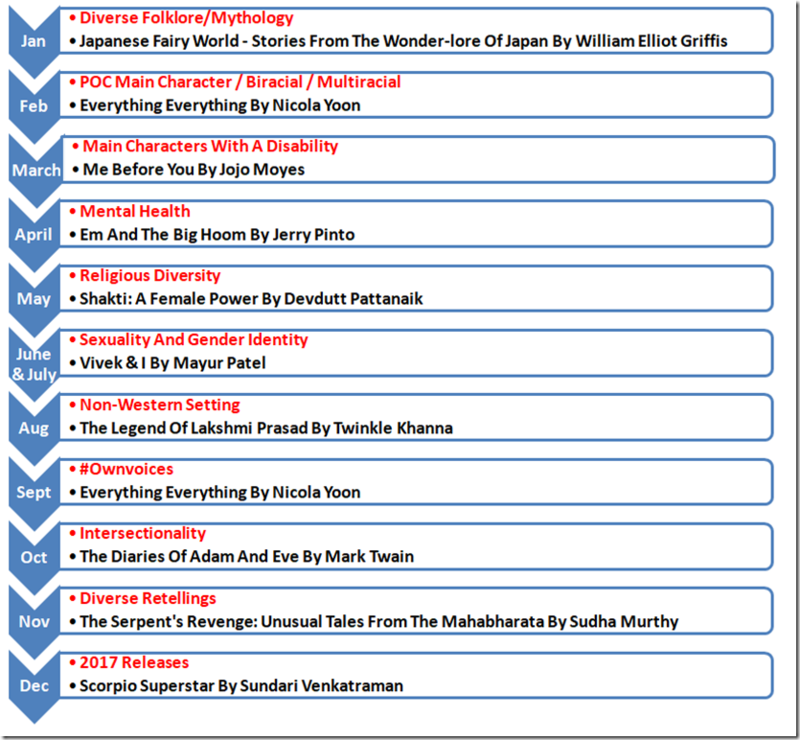 LGBTQIA Reading Challenge 2017 : One had to read just 1 book for this challenge, I read Vivek & I by Mayur Patel. 10. #ReadMyOwnDamnBooks 2017 : While I read quite a lot from my unread Kindle library, I failed miserably in reading physical books which are growing by the day. Will change that in 2018. In all, it has been an excellent reading year. Despite the challenges of life, was still able to prioritize reading. Thanks to these challenges, I read some terrific books and alternative genres that I would not have discovered or tackled on my own. And that truly expanded my reading horizon. I tracked my progress on an excel sheet and reviewing it from time to time inspired me and pushed me to go for the finish line. And am I glad of achieving my goals? So, what did you read last year? Have you joined any reading challenge? Stay tuned to my next post where I will share my Reading Goals for 2018. Oh My God! And here I was thinking I did a great job of reading 12 books last year. Hats off to you. Waiting for your post on 2018 reading challenges. Maybe I will even dare to join at least one or two of them. Good job! I am just sitting here with my mouth hanging open. HOW?? How did you manage SO much reading AND blogging in a year? I take my hat, my other hat and my hidden hat off to you. I am in complete awe. 125 books in a year. I know you, you are a busy bee and despite that, you read 125. Wow! 😀 This gives me some serious reading inspiration. I am looking forward to your next post. Let me see how many of the titles can I add to my TBR for 2018. Shilpa, I have a question. Are you human, or a goddess? Oh wait, that’s a rhetoric question. I already know the answer! I also think you’re superwoman. I don’t know anyone else who is as committed as you! Hugs and a standing ovation to you. I didn’t participate in any reading challenge but did read a lot of books, thanks to 3-4 at a time. I am too lazy to be publicly accountable. My pressure from within is enough to keep me going. This is so inspiring Shilpa. Waiting for your next post! 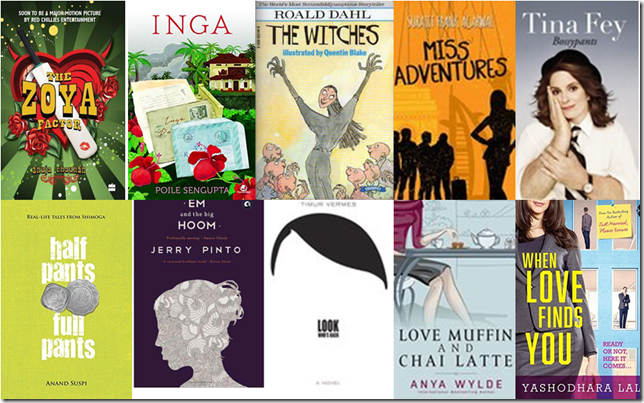 Shilpa…how many books did you read in 2017??? SO many reading challenges and you met them all…whoa, girl! Way to go! 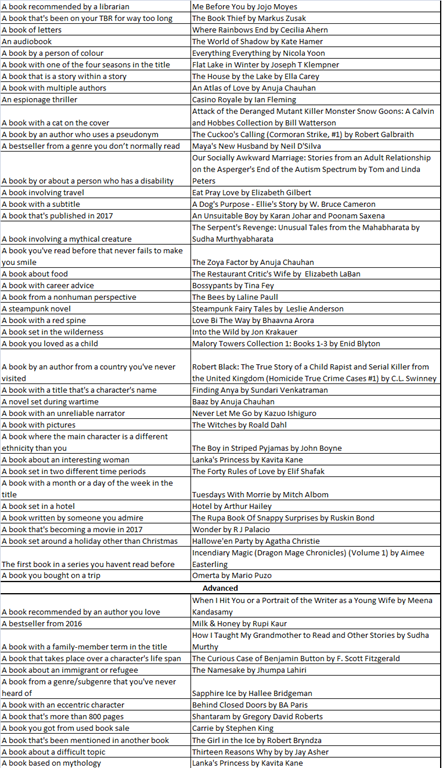 This year, I have decided to read 26 books..yes, too tiny a number as compared to others, but I decided it was doable…considering last year I did not challenge myself in any way to read a certain number of books. Well, let’s hope I am able to fulfil my wish! I don’t even know where to begin. How did you even made this possible? I am going to screenshot your diversity list. That’s something I can try to follow. I haven’t taken any reading challenges though I have been reading more of non-fiction and mostly spiritual books in 2017. 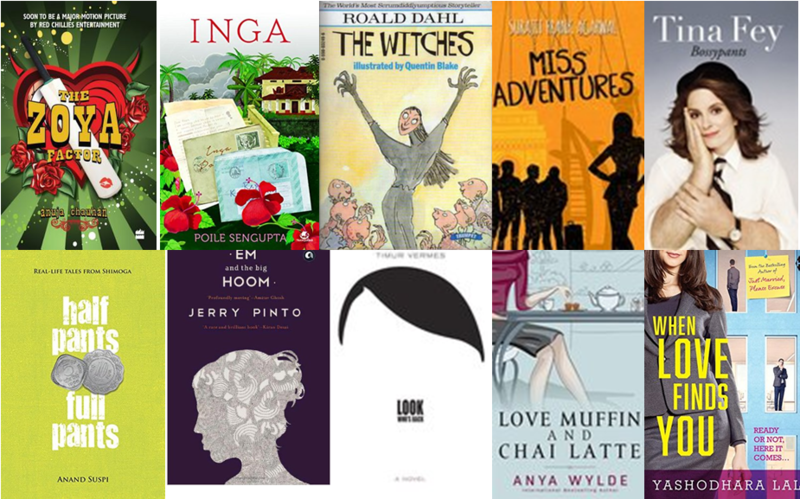 Great going, Shilpa, your post is inspiring for book lovers to take up the reading challenge. Looking forward to your reading goals for the year 2018. I’m still reeling over the fact that you read 125 books last year! Wow, seriously wow! Here’s wishing you more reading in 2018 and more success in such interesting challenges. Great list. I haven’t set one up for this year yet. Guess I should get started. i didnt really challenge myself last year.. Just randomly read stuff. But this year I have a target with a set number of books plus also with an aim to read different genres. Waiting for your more detailed plan… to serve as an inspiration for me!! 125 is such a huge challenge, Shilpa. Congratulations on achieving such a great number with diverse list of books. You must have always been reading. It is such a pleasure to read. This year I have set a reading challenge. Last year I was only busy reading the pregnancy book. Anyway, I am in awe about your deed. How on earth did I miss so many posts from you? And I’ve been wondering why you haven’t been writing! I am amazed at the amount of reading you get done. Congratulations on maxing so many challenges.